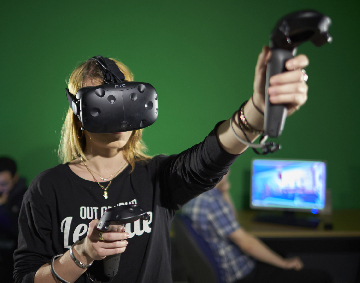 A new multi-million pound Innovation for Games and Media Enterprise (InGAME) project will establish a dedicated research and development centre for the Dundee video games cluster with a view to driving product, service and experience innovation across the industry. 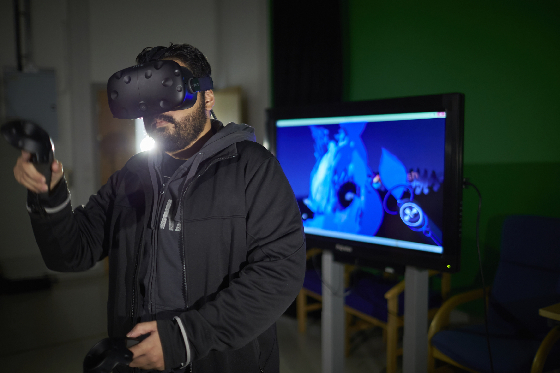 Led by the city’s Abertay University, in partnership with the University of Dundee and the University of St Andrews, the project, announced today (FRI), will offer a high level resource to local, Scottish and UK games companies, benefiting from significant funding from the Arts and Humanities Research Council’s (AHRC) Creative Industries Clusters programme and the Scottish Funding Council. Games industry partners include 4J Studios, All4Games, BBC, Beano Studios, Biome Collective, DeltaDNA, Microsoft, Outplay Entertainment and Sony Interactive Entertainment Europe, while business and cluster development will be supported by Creative Dundee, Creative Scotland, Elevator UK, Interface, Dundee City Council, Scottish Enterprise, TIGA, UK Games Fund and UK Interactive Entertainment and V&A Dundee. The project is the latest investment in a string of success for Dundee - the UK’s first UNESCO City of Design – with the announcement coming just a week before the opening of the £80.1m V&A Dundee Museum of Design. InGAME will take a highly collaborative approach, with artists, designers and creative writers co-located with technologists and business specialists. 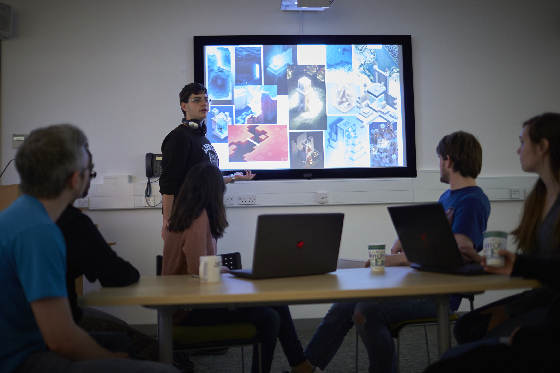 SME games studios will have access to the partners’ expertise, engaging in creative experimentation, utilising new and emerging games technologies, exploring new audiences, and forming interdisciplinary working relationships. With the ability to rapidly prototype and test ideas, InGAME will also develop experimental processes for the generation of original creative content, while promoting the diversification of new products and markets. Business modelling, user analytics and service design will all be embedded within the project, which seeks to promote significant growth, increased sustainability and intensification of the Dundee games cluster. InGAME will also provide industry experience for students from all three universities as they work on business-led briefs. The project will involve academic researchers, students, industry experts and business leaders, and is expected to further energise the successful Dundee cluster, which is characterised by a high number of micro-SMEs creating content for mobile, tablet and PC gaming platforms, as well as larger SME’s with more established product portfolios. 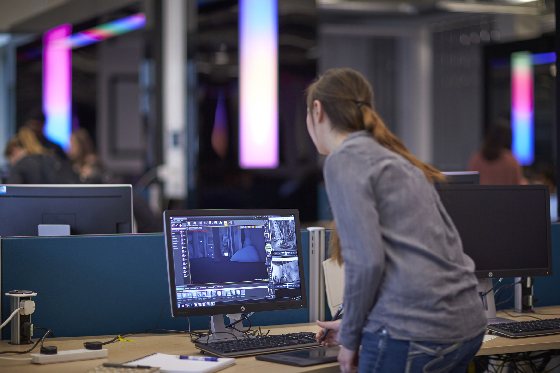 InGAME is one of nine AHRC Creative Clusters announced across the UK today, with the University of Edinburgh's data innovation partnership leading the only other Scotland-based project. Professor Paul Hibbert, University of St Andrews Vice-Principal Education (Proctor) said: "The computer games industry is a key part of Scotland's creative industries sector with the potential for strong growth within existing companies, new venture formation and graduate level employment. InGame is a groundbreaking multi-partner award that will facilitate knowledge transfer and develop a better understanding of the growth bottlenecks confronting this exciting sector. The Institute for Capitalising on Creativity in the School of Management at the University of St Andrews is proud to partner Abertay and Dundee universities on this important and transformative project." Malath Abbas of Biome Collective said: "Biome Collective are proud to be a key partner in the InGAME creative cluster project. As an organisation on the forefront of art, design and creative technology, research and experimentation are integral to our collective process. We are excited to begin working with our partners and collaborators on exploring and creating ground breaking playful experiences." Paul Durrant, CEO of the UK Games Fund said: "As a UK facing organisation it's great to see the launch of the new Creative Clusters. We're delighted to be working with InGAME in our home cluster in Dundee as well as a number of others elsewhere." Dr Siobhán Jordan, Director of Interface, said: “We look forward to partnering with the interdisciplinary and cross-university teams in response to, and in collaboration with, the evolving and developing needs of the industry partners. The team at Interface can draw on our long-established track record of brokering industry-led collaborations with SMEs across all sectors and supporting with access to potential funding."